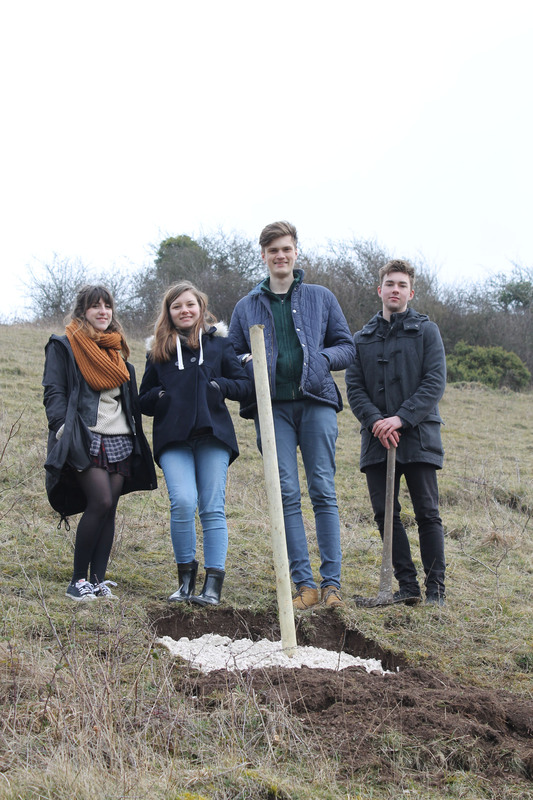 As part of the Society’s WW1 Centenary Education Project a group of Media Studies Undergraduates from Southampton Solent University spent time at the Fovant Badges and in Fovant during April 2015 interviewing and filming. The film records their view of The Fovant Badges and what they mean to those people involved in the maintenance of the badges and the research into their history. The film also features views on the Centenary Badge due to be constructed in 2016. 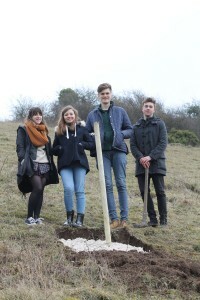 The team, led by Alex Cullen, included Megan Maddex, Harry Devell, Jade Reeder and David Board. They are pictured below on the site of the Centenary Badge. From left to right they are Jade, Megan, Alex and Harry. David was not present when the picture was taken. The Trustees of the Fovant Badges would like to thank Southampton Solent University and the team for producing such a professional film, well done! Please click on this link to view this excellent film.